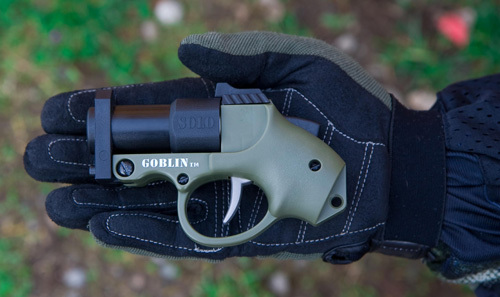 As the world's smallest Paintball Marker, the GOBLIN SOLO is a single-shot back up pistol that uses a rechargeable Air Cartridge. Interchangeable 'barrels' on the Air Cartridge enable the firing of various sizes of .68 caliber paintballs, while a special 6mm barrel can launch up to 12 Airsoft BB's at once! 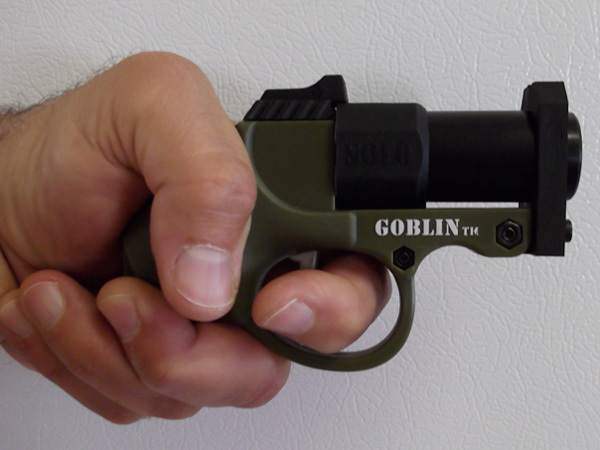 The GOBLIN Air Cartridge is recharged with an Air Adaptor included with the GOBLIN SOLO Set, and can take either CO2 or compressed air (HPA). 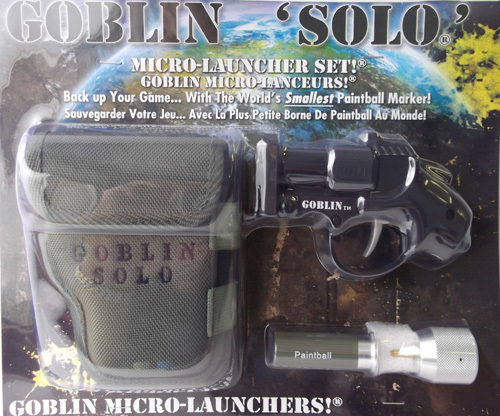 When the SOLO is fired, the entire charge of air is used to launch the paintball (or 6mm BB's). 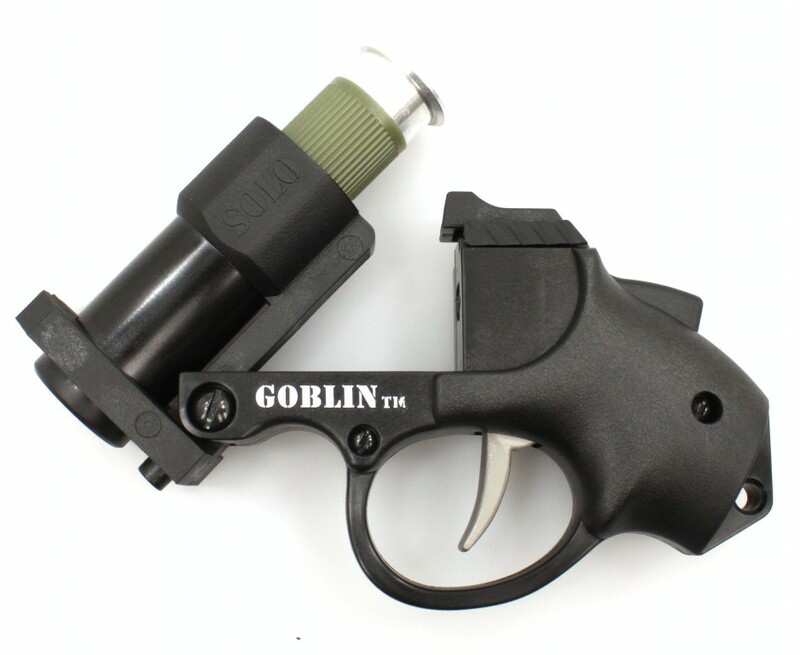 Most players carry up to 5 or more loaded Air Cartridges in a looped holder, enabling the SOLO to be reloaded on the field quickly.